I wanted to share a few photos from our friends Trina & Greg's gorgeous wedding this weekend. 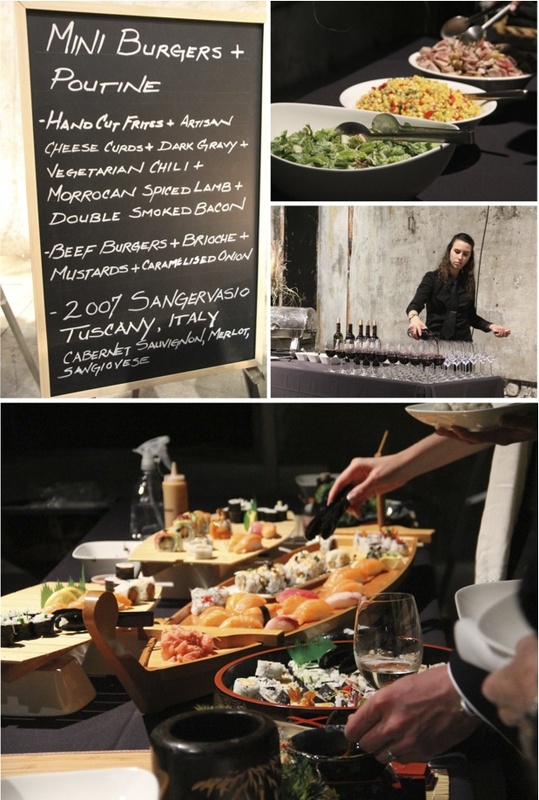 It was held at The Fermenting Cellar in Toronto's distillery district. Picture this: a huge industrial warehouse, filled with flowers and tall autumn grasses, completely glowing with warm candlelight. It was incredibly beautiful. Instead of having a traditional sit down meal, the bride and groom chose a variety of gourmet food stations, each one complete with its own wine pairing. There was a sushi station, a shawarma station, take out asian food... I'm not even sure I got to try it all! Basically, everything was amazing! Trina looked absolutely stunning in her dress, and the room just overflowed with love for this fabulous, fun-loving couple. 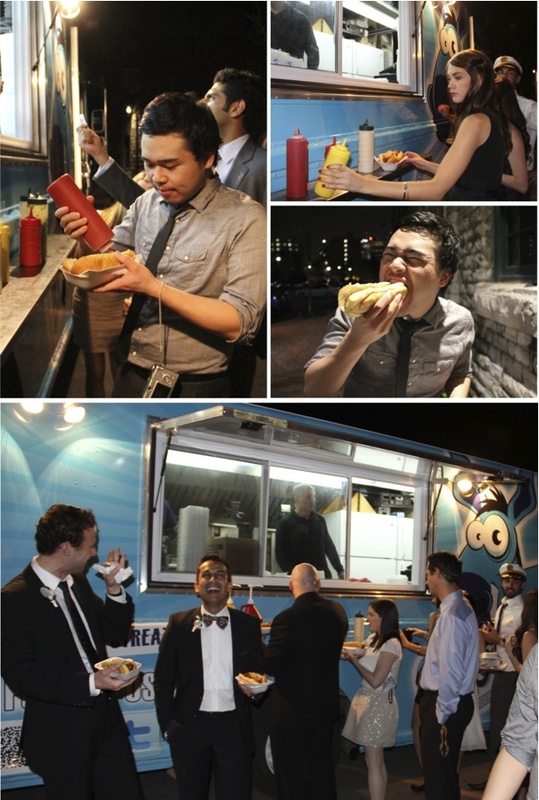 Then, at around midnight, just in case we didn't get enough to eat, the bride & groom hired one of Toronto's famous food trucks to serve street food outside the party. It was awesome! Trina & Greg, I'm so happy for you two! Lovely photos...glad you had such a good time! These photos are amazing! And they are a beautiful couple. Wow- having a food truck at midnight sounds just about amazing! What a great idea! 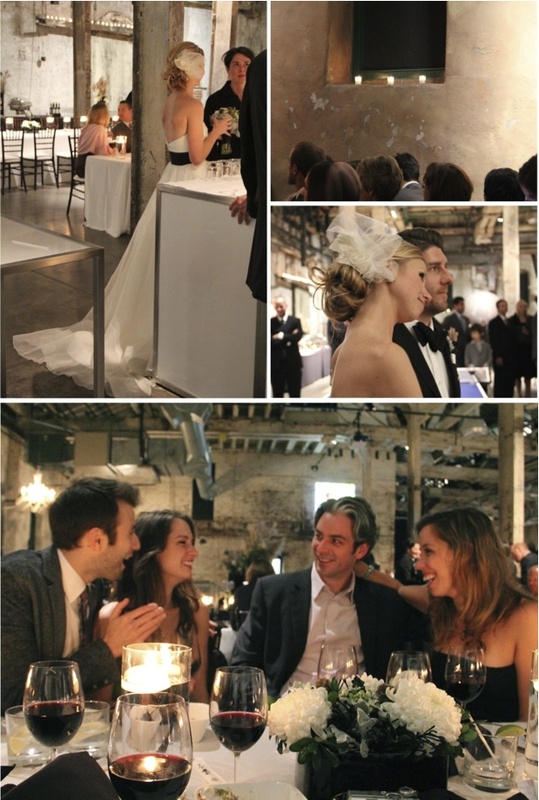 I almost got married in Toronto, but I never thought of this! And poutine at a wedding--brilliant! Wow, this is amazing! I can't imagine a better place for a modern wedding. It looks amazing. Weddings are so over the top these days! It looks like Trina and Greg managed to make is special, beautiful and elegant while keeping it unpretentious. Quite a feat! And Trina made an absolutely stunning bride! 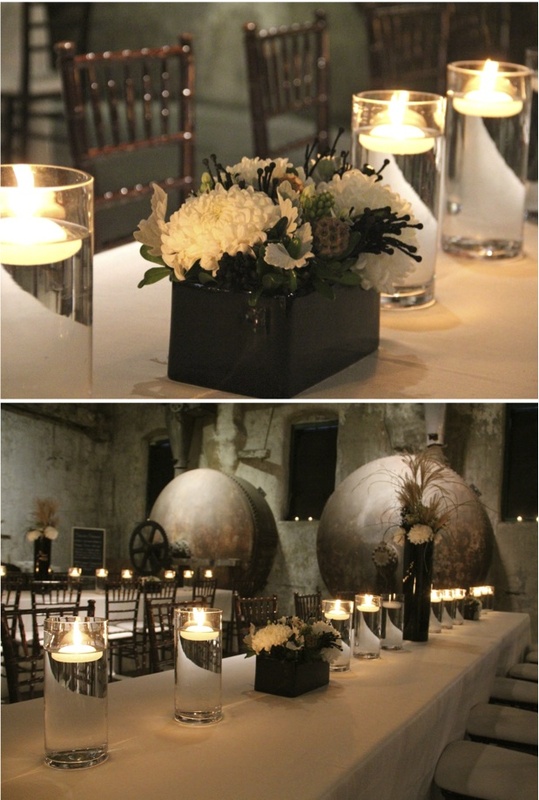 Yeah it was truly chic wedding at Toronto's Fermenting Cellar. The decoration part is my favorite, it is so soothing. At some indoor event venues Chicago we will get engaged soon and I would love to have this kind of decorations for my special day.